If you're looking for a midsize sedan in Harrisonburg, VA, you're probably looking at the Honda Accord and the Toyota Camry. Find out how the Accord can give you more! There are a lot of differences and similarities when you take a look at the Honda Accord vs the Toyota Camry. Both of these cars reside in the midsize sedan class and both have been trusted to be reliable models on the road for many years. If you’re looking for the right car to drive, our team at Harrisonburg Honda can help you discover firsthand why the Honda Accord outperforms the Toyota Camry. When you visit our dealership in Harrisonburg, VA, you’re going to be able to discover firsthand how the Honda Accord can offer you everything you want and more in your next car. Our team will show you that, while the Accord and the Camry both have an amazing number of safety features, comfortable seats, large trunks, and fantastic technology, the Accord goes beyond with better standard features and fully integrated tech. However, the real difference for you will come when you take these two cars on the road for a drive. While the Camry is predictable and comfortable on the road, the Accord offers you more aggressive acceleration and a suspension that can help you carve up the corners when you want to during your drive. Getting behind the wheel of a car today is different than in the past. You expect to have the technology needed to connect to your smartphone when you’re out on the road. While Toyota has added the benefits of Apple CarPlay to the mix, they haven’t embraced Android Auto. The Honda Accord has both of these programs to make it easy for you to stay connected. The best part is, the Honda Accord makes it easy for you to connect to the world outside your windshield, with available technology such as a fully integrated driver and passenger experience, including access to useful services and entertainment options near you. Another place you’ll see a difference when you visit our dealership to check out the Honda Accord is in the style of the vehicle. The Toyota Camry has taken on some of the polarizing styles that we’ve seen in other models from this brand in the past. The Accord continues to bring you a conservative and attractive appearance that appeals to a much larger audience. Let our team show you the Honda Accord and let this become the car that you’ll take home and begin to enjoy today. We might be a bit biased, but we feel that the deals and programs we offer for the Honda Accord are much better than what you’ll find for the Toyota Camry. Let the dedicated Harrisonburg Honda team help you come to the right conclusion when you want to compare the Honda Accord vs the Toyota Camry today. We’ll help you decide to drive the Accord and know that you’ll have a more enjoyable ride in the Harrisonburg, VA area. Come in and see what we have to offer that will put you behind the wheel of your new Honda Accord today. When you own a new Honda Accord, you’re confident in every mile you spend behind the wheel; and because you know the quality and reliability of Honda, you know that means many, many miles. That confidence in what comes under the hood is matched with the confidence you need in the safety of you and your passengers. 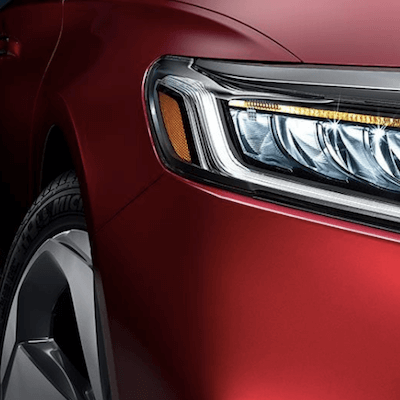 Ask the Harrisonburg Honda team of pros about the Honda Sensing suite of features to see how the Accord goes above and beyond to keep you and your family safe. Explore Harrisburg, VA in the Perfect Honda Accord Today! Located right here in Harrisonburg, VA, Purcell Park is a great place for outdoor activities like baseball, softball, running, tennis, and even picnics and playgrounds. 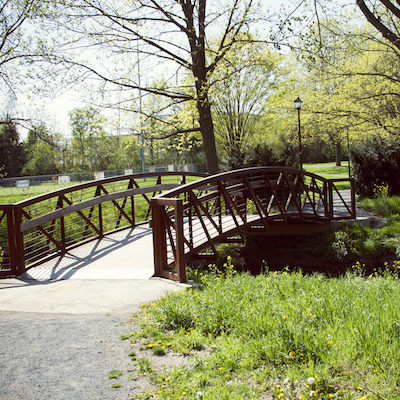 This expansive, 67-acre park also features plenty of nature to explore, with trails to traverse at your own pace. It’s a good spot for events and gatherings, or just spending some time relaxing or enjoying your favorite sport.